I discovered Stitcher a few months ago when listening to one of my favorite podcasts on iTunes. I've been listening to podcasts for more than a decade- ever since companies and organizations learned how smart it was for their own bottom lines to give away free content. The iTunes podcast benchmarked how podcast would look and deliver content. The way they've tagged and categorized content had made finding content easy both for consumer and creator alike. It is indisputable that iTunes dominates this space. Stitcher, on the other hand, has made consuming podcasts elegant and intuitive. Pay attention, iTunes. 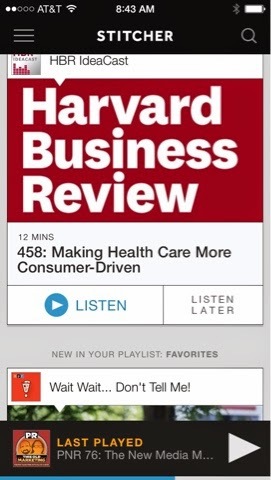 Sharing podcasts on Stitcher is a fantastic experience. The only downside is that not enough people are on Stitcher yet, so, when you share content, your friends probably don't have the Stitcher app on their phones. I, personally, want to see that change. In fact, where I work, we've included our church sermons content to Stitcher as another way for people to discover our content and share it with friends. What I love about Stitcher is how they do recommendations. 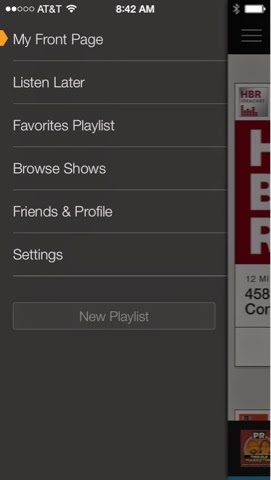 Stitcher recommends new podcasts according to your interests in the app itself as you finish listening to a show. 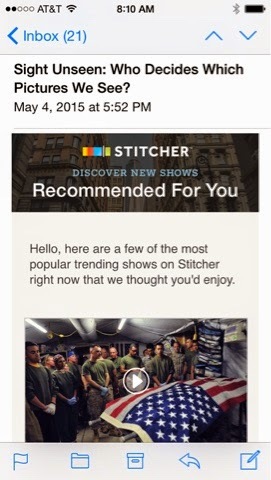 Stitcher also sends subscribers who've opted in, a visually appealing email with more content recommendations. Stitcher cracked the code with their visual user experience. 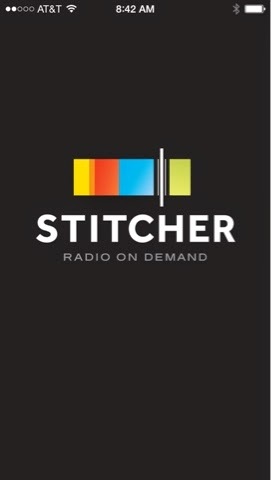 is where Stitcher has cracked the code on content delivery. Above is a screenshot of Stitcher's email to me this morning. It makes me feel like they care about what I care about. Well done, Stitcher. Well done.